Though this grass does spread by rhizomes, it is a slow grower and will not rapidly overtake its neighbors. 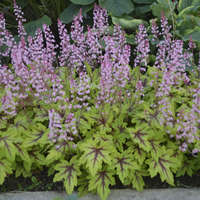 When grown in part shade, the yellow tones in the leaves will be most pronounced. 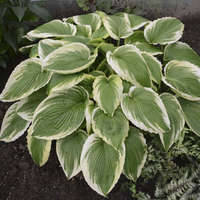 In deep shade, the variegation will be lime green. 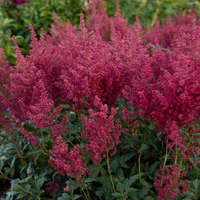 In the cooler days of autumn, the golden foliage becomes infused with shades of pink and red. 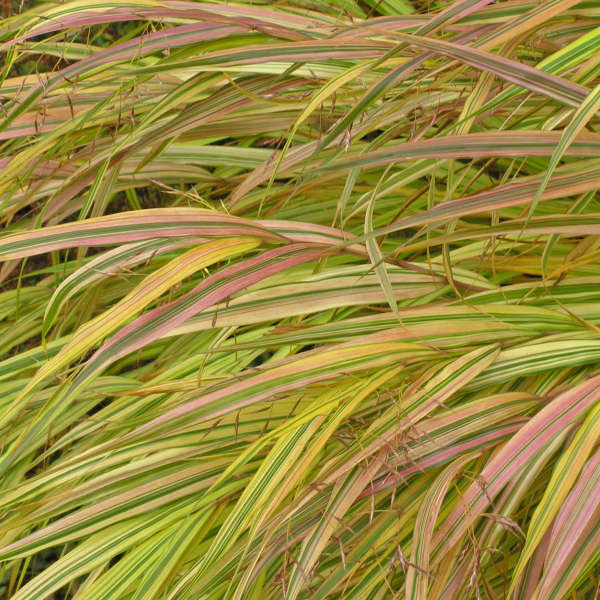 People in milder climates will be able to enjoy the buff color of this grass all winter. In colder climates, it will die all the way back to the ground. 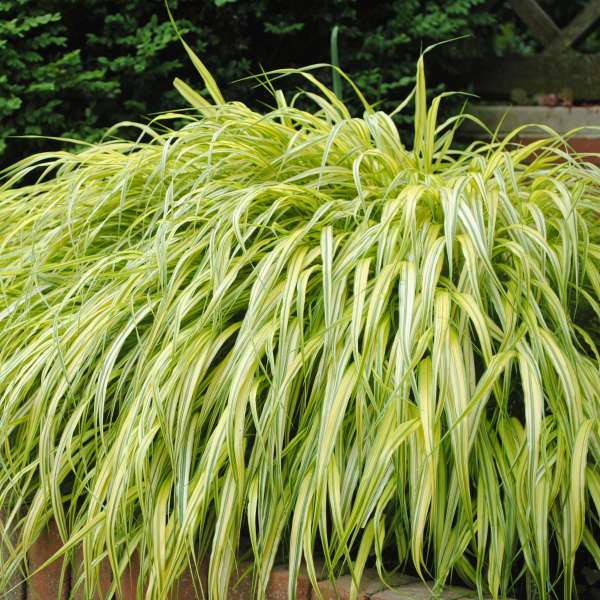 Hakonechloa is grown mainly for its beautiful foliage, though it does produce seed heads. 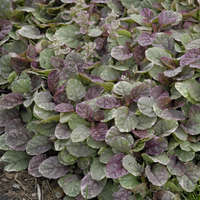 Tiny, inconspicuous flower spiklets appear in airy clusters from late summer thru early fall. 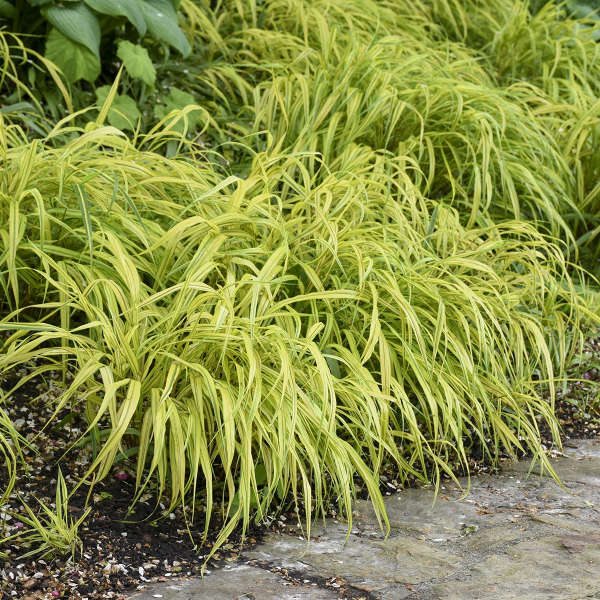 Hakonechloa is most at home in shaded, woodland environments where the soil is rich and loamy. This grass will not grow in poorly drained soil, heavy clay, or very dry soils. Part to full shade is best; full hot sun tends to scorch the leaves. 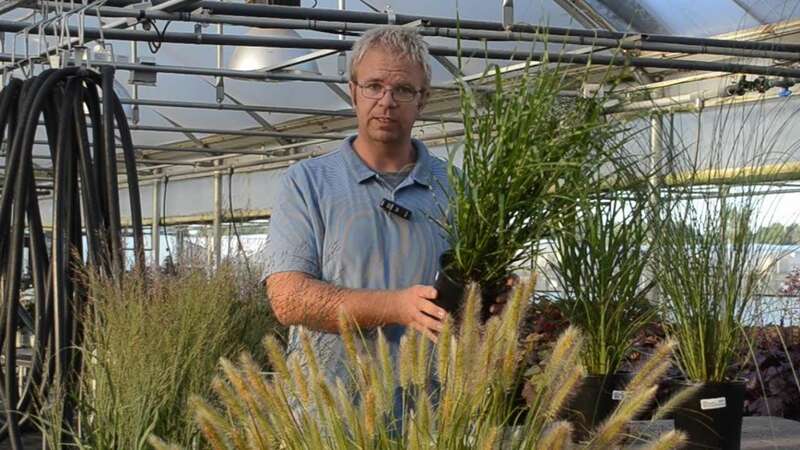 Since it is such a slow grower, it will not be necessary to divide this grass for many years. However, division is easily accomplished and may be done in spring or fall. In zones 5-6, mulch it with fall leaves to a depth of about 2 feet and cover the pile with branches to keep the mulch in place. In southern zones, this mulch is not necessary. 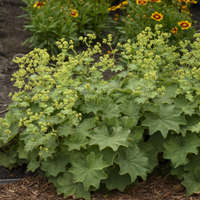 In early spring, remove the leaves and cut back last year's foliage to allow room for the new growth. "Hakone" is the area near Mt. Fuji in Japan where this grass is found growing naturally. 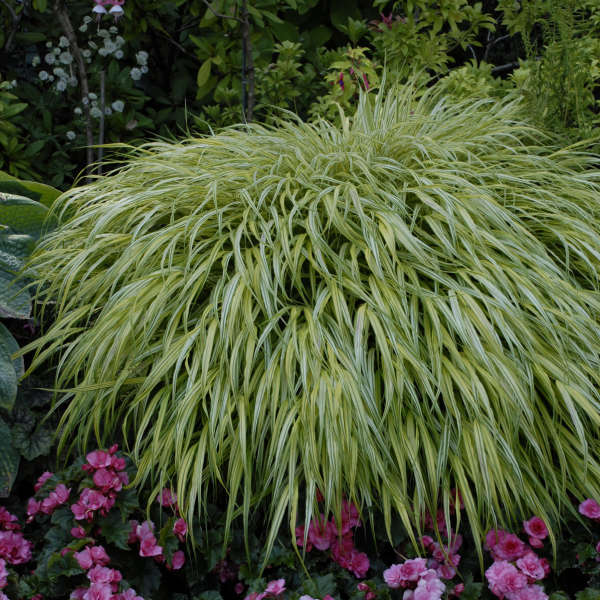 Thus, Hakonechloa means "grass from Japan".